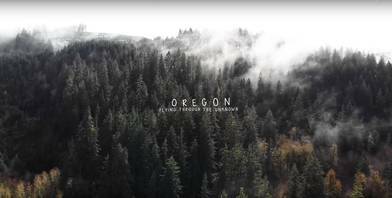 This drone video of Oregon in the USA's Pacific Northwest won the Drone Video of the Week Contest in August, 2018. On a road trip through the Beaver State, contributor Javier Mora Marin and a friend captured this amazing aerial footage from some of the state's most spectacular spots. Highlights of the video include bird's eye views of Silver Falls, God’s Thumb, Painted Hills, Smith Rock, Mount Hood, and some of the state's many lush pine tree forests.